Home Staging Bellevue - Want To Stage Your Home? Here Are 7 Tips! If you’re selling a home in Bellevue, you have to understand that it’s a tough market. Those looking to purchase homes in the area tend to have a specific set of expectations and stipulations before they commit to an investment as big as a house. 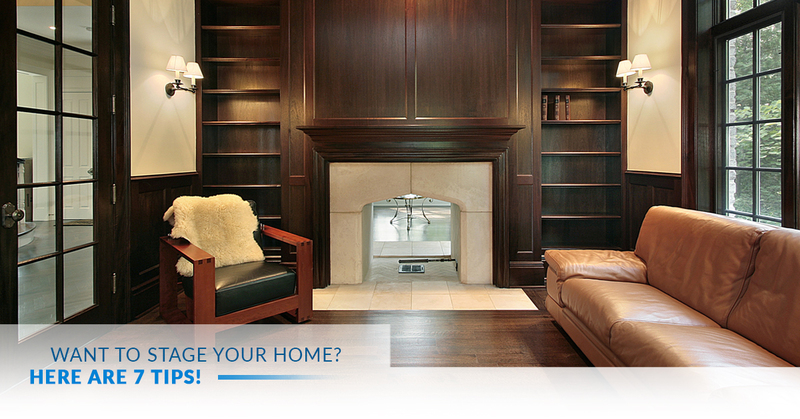 However, you can take advantage of home staging to raise your home above the rest. What’s more, when you utilize the seven home staging tips in this post, you will find that your house sells at or above market value simply because it looks better and offers potential buyers a home they can project their future lives into. It’s common for those trying to stage their home that most of the furniture and decorations already in the home are enough to inspire potential home buyers. Unfortunately, what a homeowner believes is vital is usually clutter. Get rid of the unnecessary items taking up space in your home. Another common belief is that pushing your furniture against the walls, away from the center of the room, make it look and feel larger. The opposite is true. You want to group furniture together to create conversational seating and arranged functionality. The space around the furniture makes the room feel larger. It can be tough to think that a chair you purchased for the study would actually work in the living room. The same goes for artwork and other decor pieces. Move things around and see how they work in other spaces. Many homes are improperly lighted. This creates a cold, distant feeling when moving from room to room. One great way to warm up a house is to increase the wattage in your lamps and go for more white light than yellow. These two adjustments alone can turn a dungeon of a bedroom into a palace. If you want a smaller space to look larger, consider painting it the same color as the room adjacent. The color of paint will suggest that the two rooms are one big room, especially if the door is open between the two. This makes the spaces feel bigger. It can be tempting to stick with gray, white, and black when it comes to color schemes. Give your home a little personality. Add some bold colors, whether light or dark. Use throw blankets, accent paints, and a set of decor items to bring your house to life. Center-center is no longer the ideal place to position a painting or other wall decor item anymore. The center position renders paintings and other items virtually invisible to those who are walking through the home. You want to vary the heights and angles at which you hang wall decor items to make each space stand out as unique. All seven of these tips are only the beginning to a professional home staging. If you’re in the process of selling your home, trust IntExt Staging with your home staging needs in Bellevue. Sell your home fast, and get top dollar. One call does it all!